A beautiful box of five 1.8ML sample vials. Discover in the comfort of your home, or gift to a friend. Includes a 20% coupon code for your next purchase. 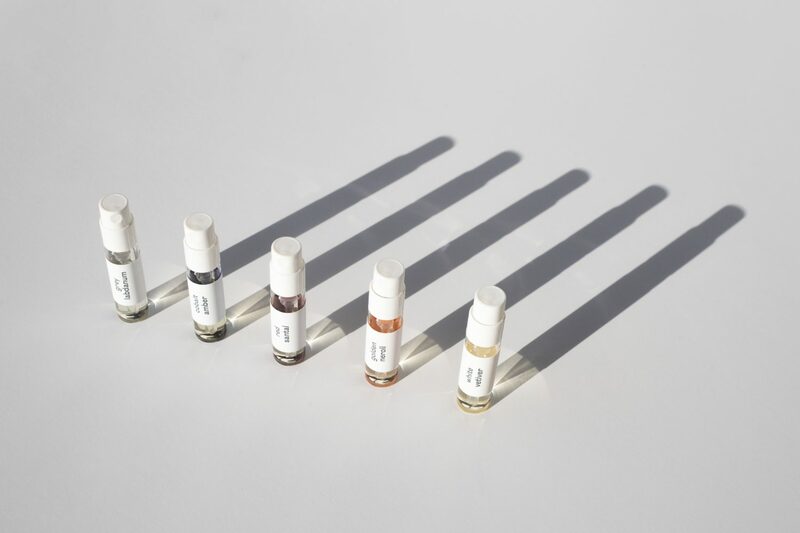 A 1.8ML sample vial of white vetiver, golden neroli, red santal, cobalt amber and grey labdanum. Free shipping to all addresses in Europe. Find a favourite? Your coupon code can be redeemed on your next purchase. Natural perfume evolves on your skin creating a unique scent… So try from the comfort of your home. "The natural aspect of the brand wouldn’t stand a chance if the juice didn’t also smell wonderful. And wonderful it is."